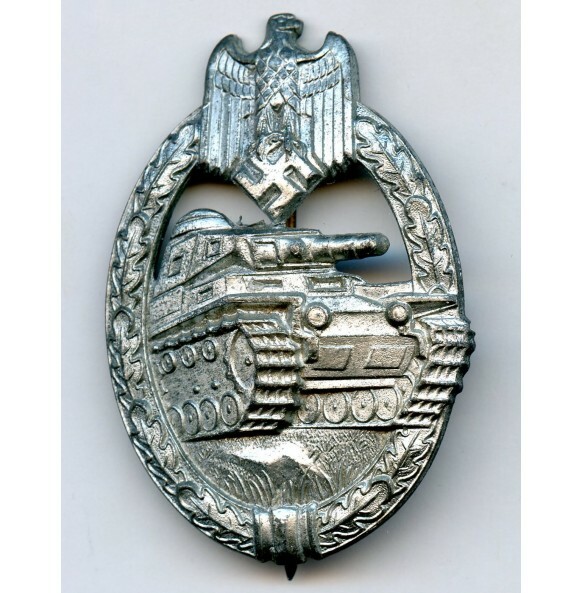 Panzer assault badge in silver by Steinhauer & Lück, Lüdenscheid. Zink construction with crimped in/soldered on set up. 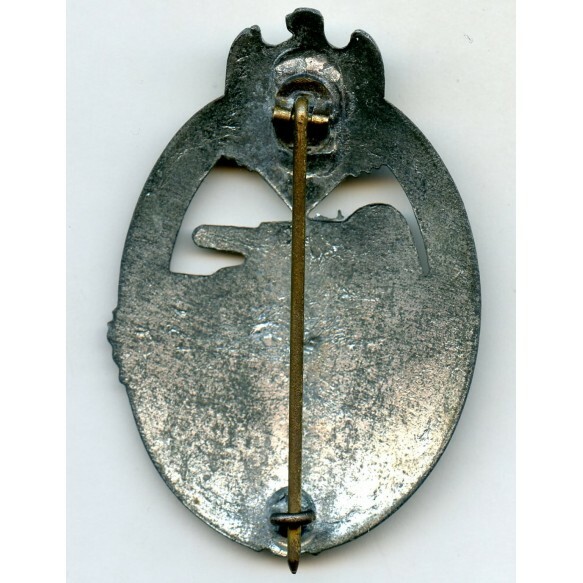 Unmarked, typical late war S&L production with so called "vertical crimped set up". Excellent condition with all bright silver chrome finish intact. No repairs, no damage.